Do you work on manuscripts or epigraphic texts from the ancient or pre-modern world? Ever wanted to get expert feedback on your work in a relaxed and informal setting? Would you like to share your work with leading academics in your field and beyond? The Workshop for Manuscripts and Text Cultures is looking for graduate students to speak at a new doctoral colloquium. This is a unique opportunity to present your work and gain feedback from an interdisciplinary audience of students and experts alike. Each colloquium will have two twenty-minute papers from different fields, followed by a discussion. The aim is to generate wider conversations that cross subject boundaries, and share approaches to methodological issues. 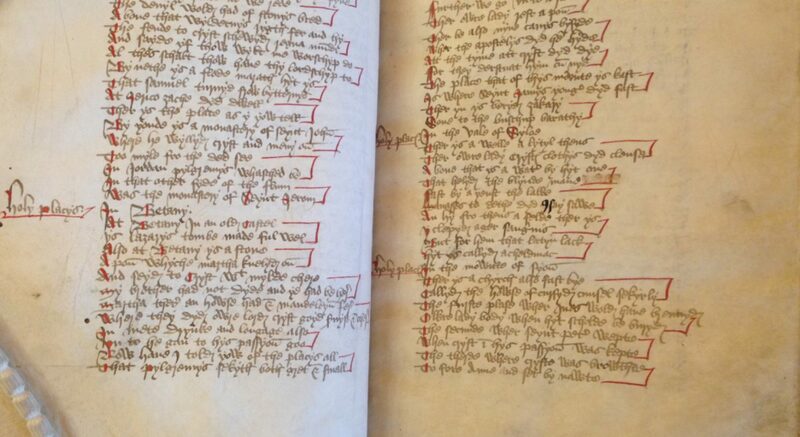 The WMTC is a research group dedicated to the burgeoning field of manuscript studies, bringing together graduate students and specialists to push the boundaries of the discipline. The Workshop meets regularly and is notable for its welcoming atmosphere and vigorous contributions from graduates. These colloquia mean to build on that foundation. Tuesday of 4th week each term, 12.30–2pm. Magrath Room, The Queen’s College, High Street. Please contact Selena Wisnom if you would like to present. For more information about the WMTC click here.